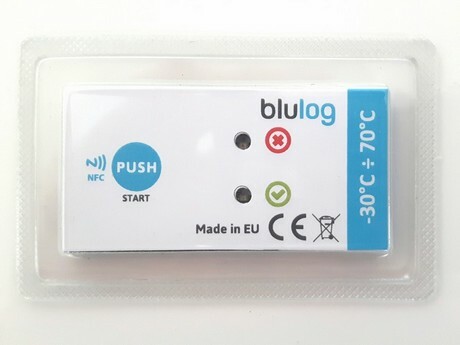 An extremely small NFC data logger to monitor temperature-sensitive products during transport has been announced by Blulog. No bigger than a credit card, this logger can be inserted directly into the packaging and features customisable temperature limits of 15-25°C, 2-8°C or any other user-defined limits. A push button starts and stops recording. A red light-emitting diode alerts the receiver if the temperature range is breached. The receiver can monitor the entire temperature profile, and in particular any breaches, via a smartphone or other handheld device equipped with NFC technology. This data is then automatically uploaded to a secure cloud-based database that can be accessed via an online web portal. The logger can also be programmed with any shipping or product information. The new device will be on show at Fruit Logistica at hall B, booth E-19.